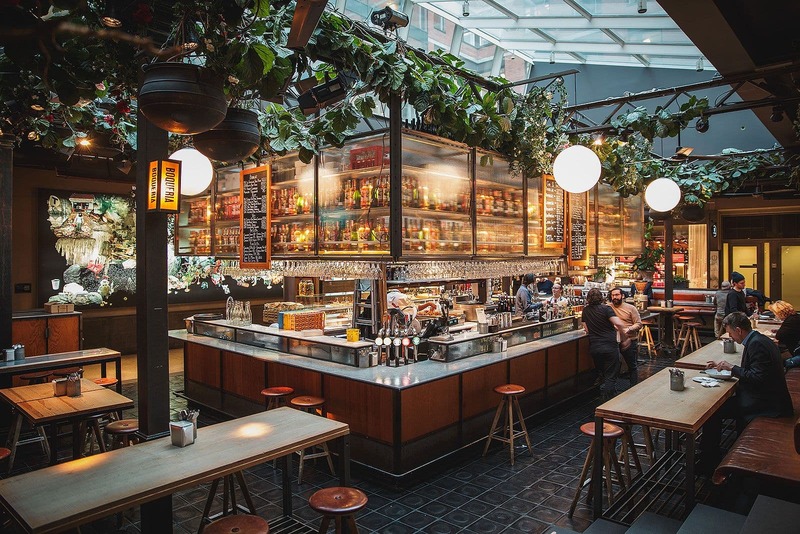 You don't always want to break up a nice time hanging out at the bar to go and find something to eat - so it's lucky there are plenty of places in Stockholm that offer a really good bar menu as well as drinks. 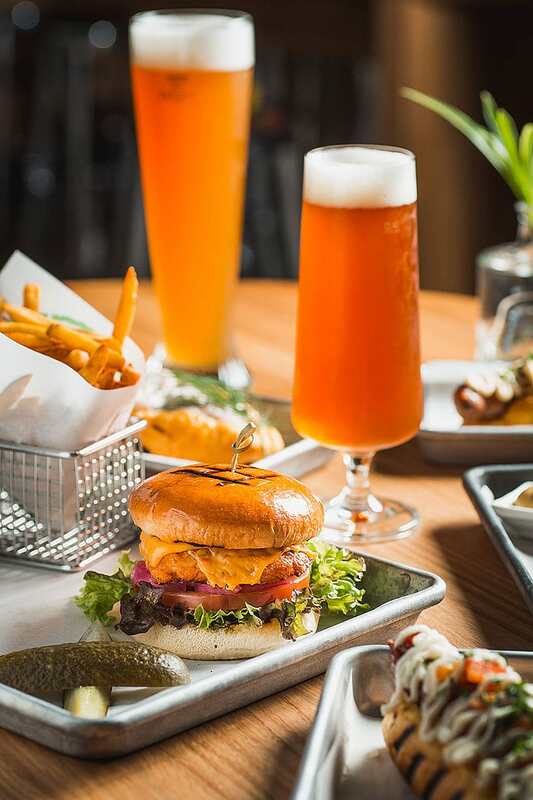 Dinner for one, after-work or just a spontaneous visit - getting a spot at the bar doesn't usually demand a great deal of forward planning. 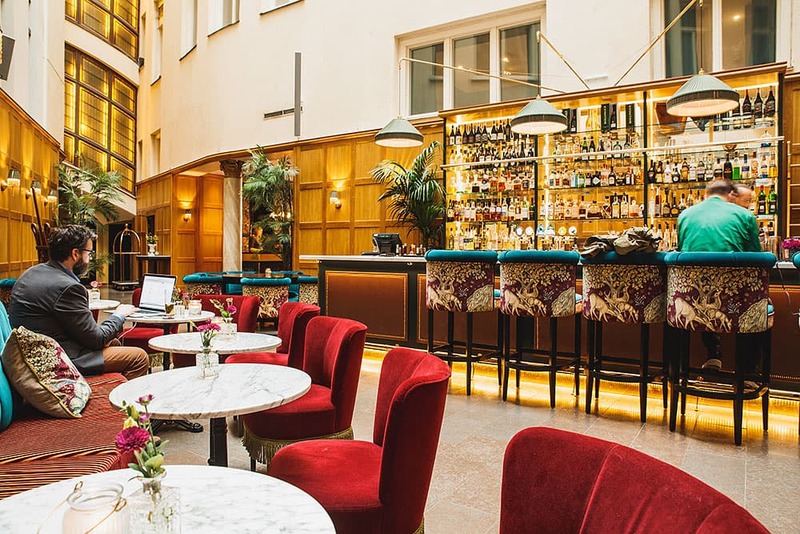 Here are a few relaxed, atmospheric bars in Stockholm which offer a proper bar menu with well-prepared dishes. One of the best things about bars is of course their atmosphere. Slightly more laid-back than the restaurant section, livelier and chummier. At the classic Stockholm restaurant Riche, which has provided Stockholmers with a communal sitting room for more than a century, Lilla Baren ("the little bar") serves up a great atmosphere, as well as awesome music and one of the most beautiful ceilings in the city (!). Here, the atmosphere and anecdotes are part of the furniture. Also part of the furniture is the menu that hangs behind the bar and offers everything from light snacks to a plat du jour. The hamburger is a must. Have you heard of cocktails on tap? If not it's high time you did! 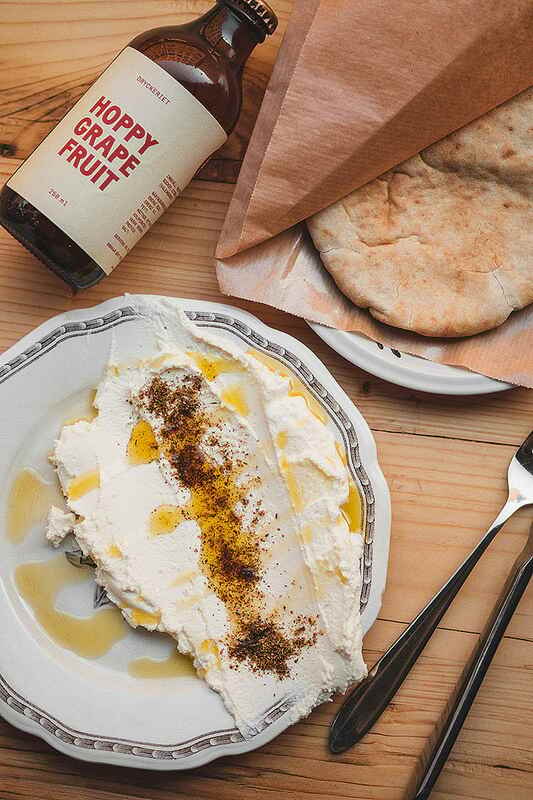 At Marcus Samuelsson's venture Tap Room you can order drinks like Manhattans and Tom Collinses on tap and eat American-influenced small dishes made from Scandinavian ingredients. 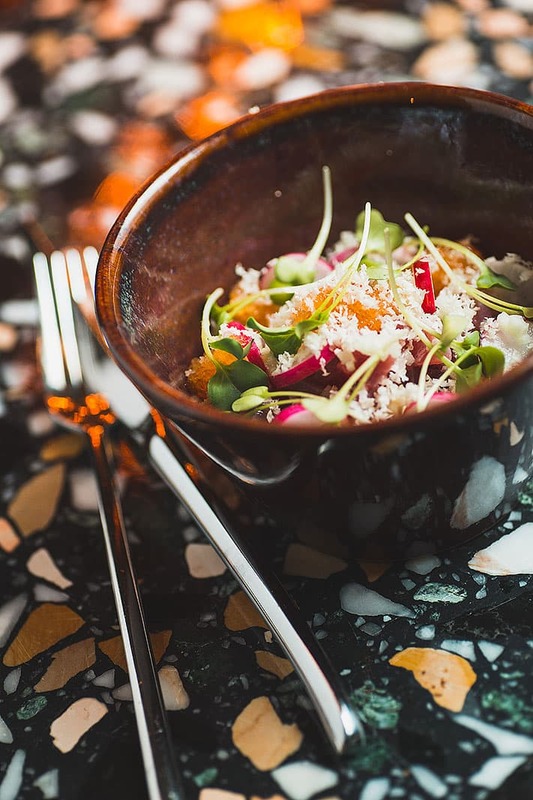 They've taken the best aspects of classic restaurant and bar experiences and blended them into a modern concept with elegant retro vibes, style and decor-wise. 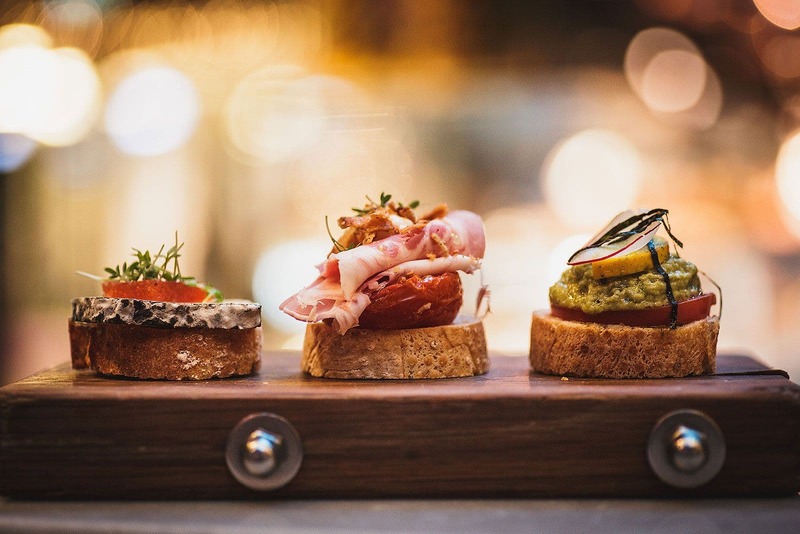 Good drinks, tasty nibbles and great company are perhaps most synonymous with the Spaniards' tapas. So it's a good thing the city centre has its own plaza with modern tapas. 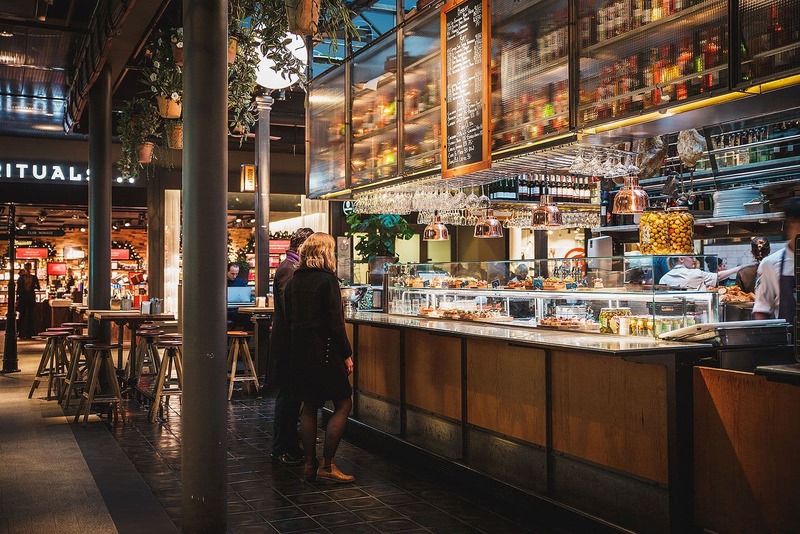 With the bar in the centre and high tables placed around it, Boqueria's square in MOOD Stockholm is a meeting place from lunchtime until late evening. Sate your appetite with the stew of the day or order a selection of pintxos, charcuterie or cheeses depening on your taste and mood. 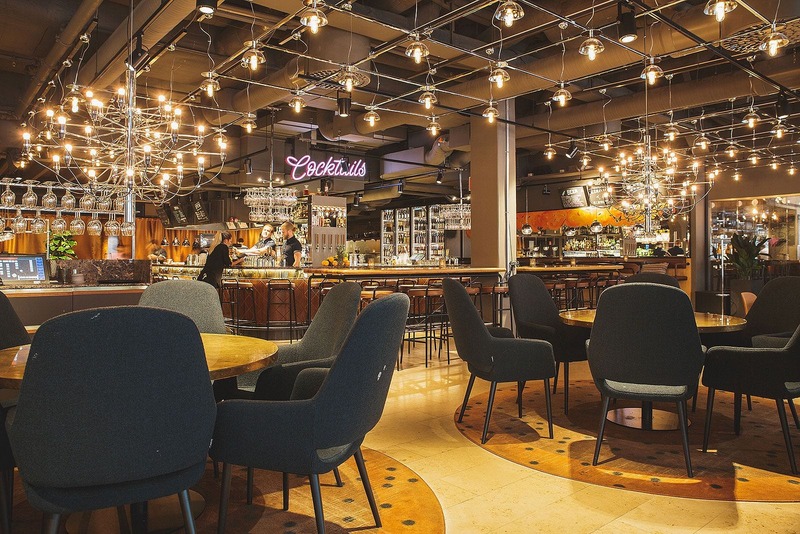 The brasserie in the royal opera house can boast one of the most beautiful interiors in the city. 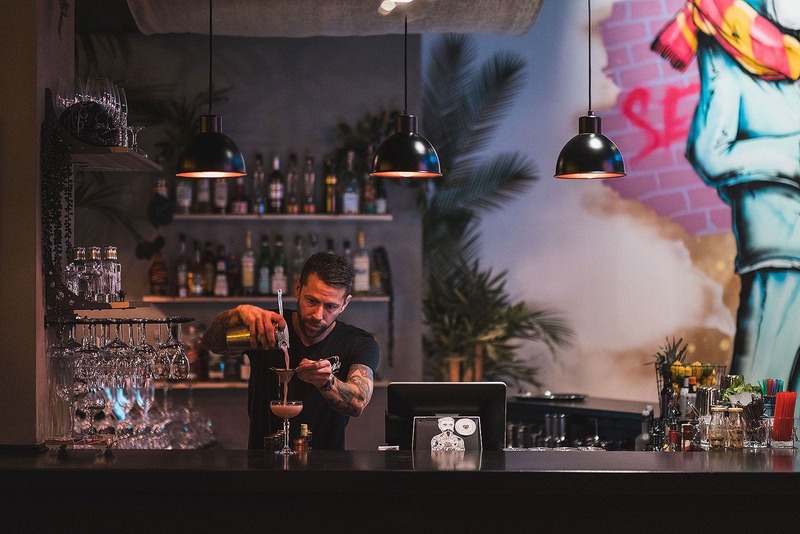 As if a swanky exterior wasn't enough they've also paid attention to craftsmanship, technique and flavours - when it comes to both the drinks selection and bar menu. Enjoy a tartare or stew, or order charcuterie and cheese while you sip a well-mixed cocktail and drink in the magnificent setting. 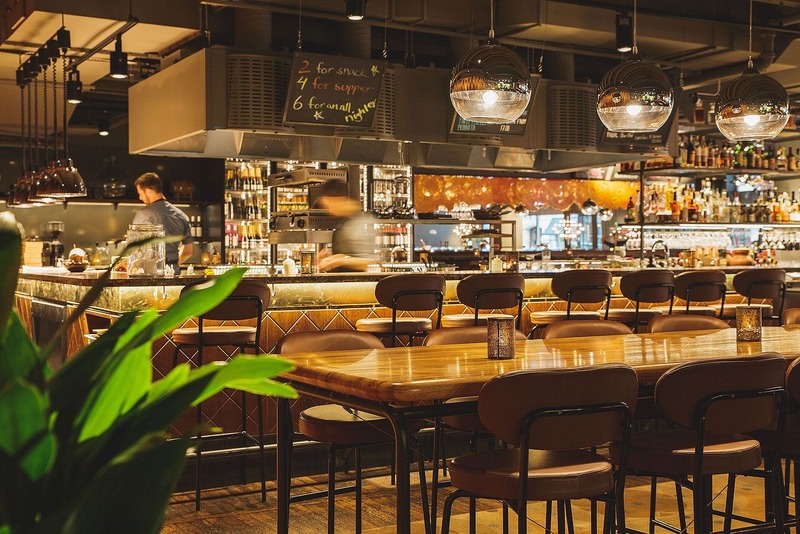 Close your eyes and imagine what food you might crave after a drink or two in the bar... Pulled beef chili with sour cream and brioche, oysters or truffle mayonnaise, perhaps? 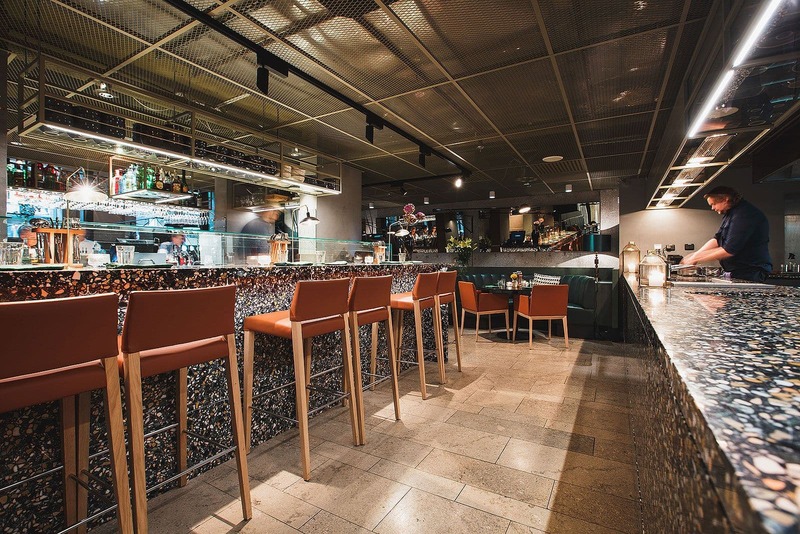 You'll find that and much more at the bar at Kung Carls Bakficka, a stone's throw from Stureplan. Their cocktails are specially created to go well with the small dishes on the menu. 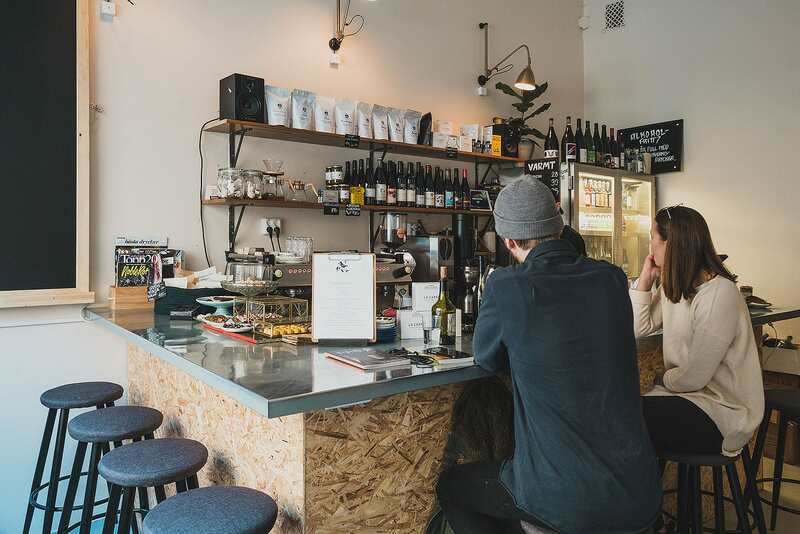 This combined coffee and natural wine bar doesn't just serve exciting drinks. 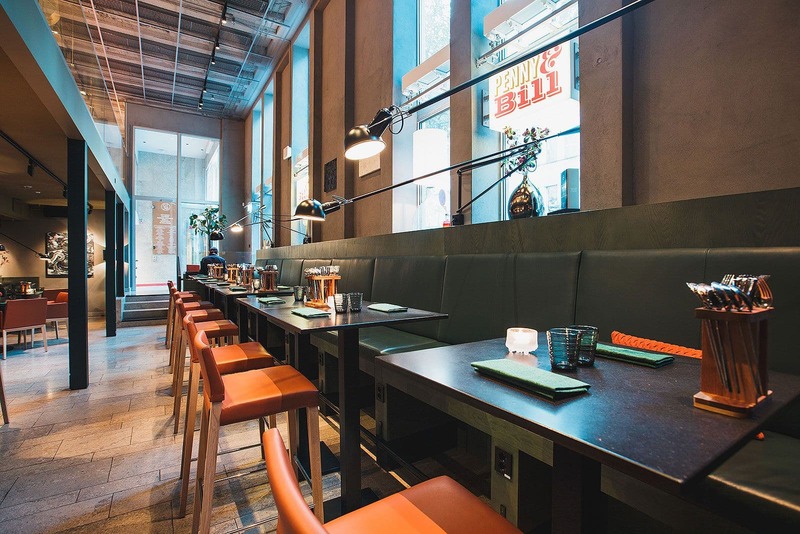 You can also order in bar food in the form of snacks and medium-sized dishes inspired by southern European cuisine. 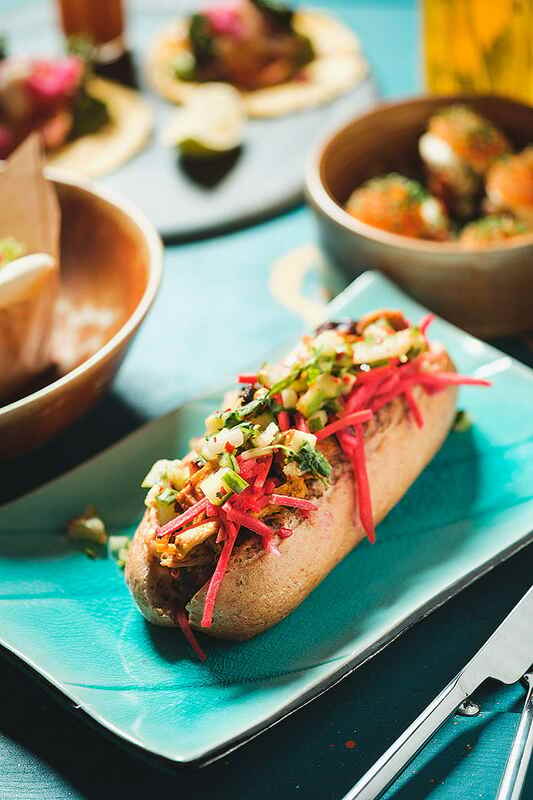 The bar menu includes a "bar sandwich" with portabello mushrooms, caramelised onion, oyster mushrooms, pointed cabbage and fermented chili sauce. 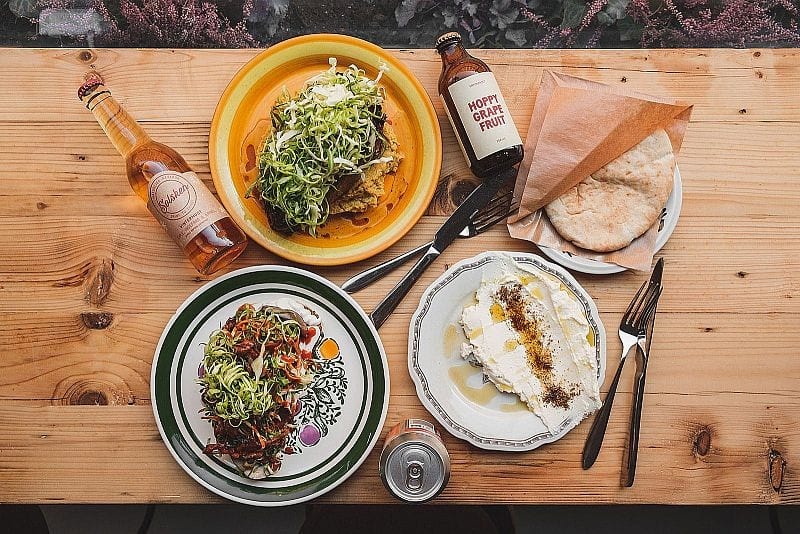 You'll find some of the best sandwiches in the city at Katarina Ölkafé on Södermalm. 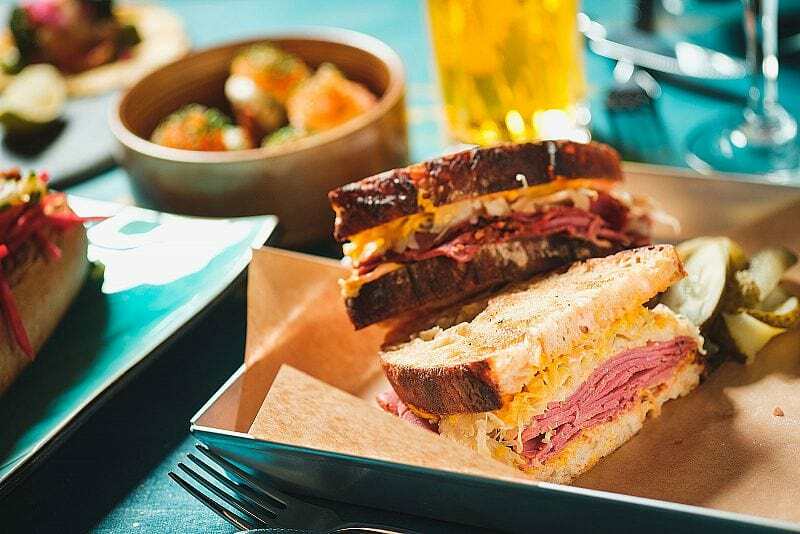 Since they opened in 2014, they've sated numerous hungry bellies with their filling pastrami and reuben sandwiches with American-inspired sides like mac 'n' cheese. And the drinks? Well, it's called a beer café for a reason. 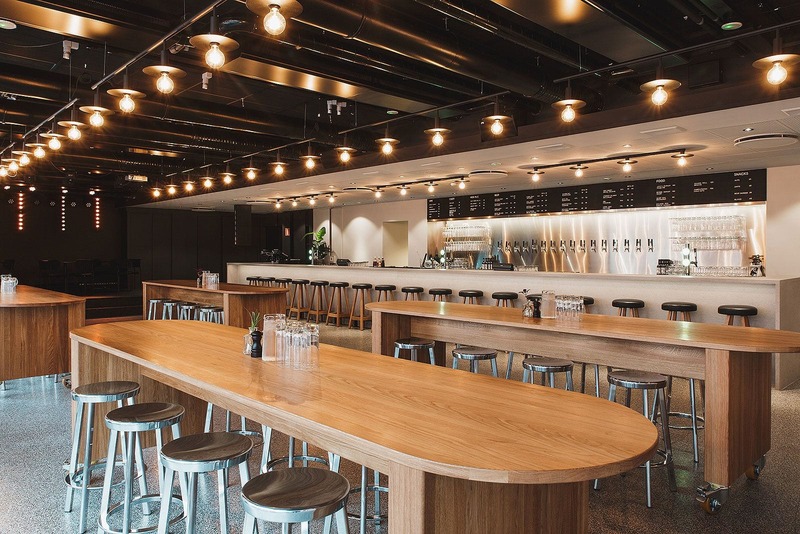 You'll find everything from local beers to well-chosen bottles from all over the world. 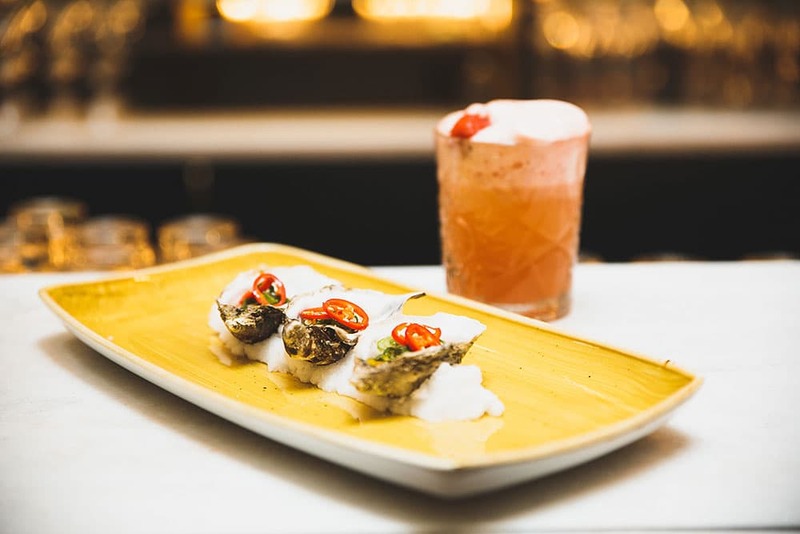 The Seven has rounded up streetfood gems from all over the world and paired them with cocktails. Choose between seven different dishes, such as lobster roll or Korean chicken wings, and a creative cocktail from the same neck of the woods. 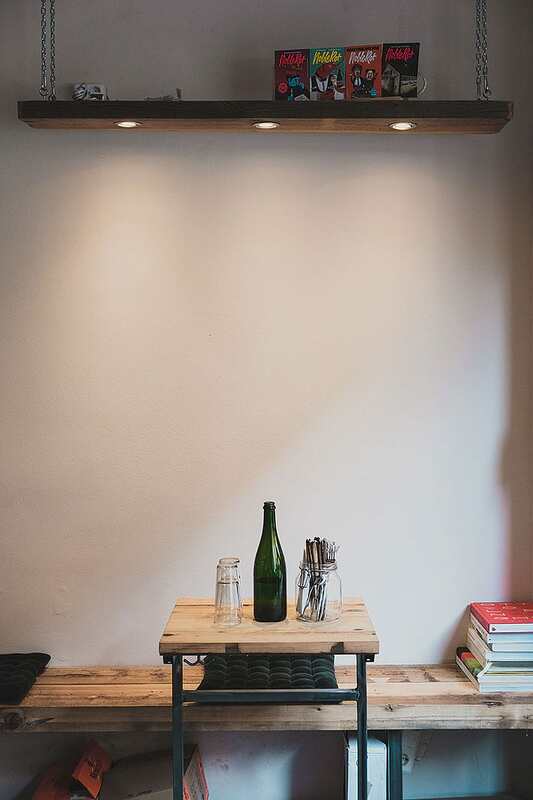 Within Björn Frantzén's gastropub The Flying Elk in the Old Town you'll also find Back Bar. Here, music and a relaxed atmosphere are the watchwords, as are good food and drink, and you'll find snacks, starters, main courses and desserts to satisfy your hunger. The food served is classic pub grub with a modern, Swedish twist. On the drinks front, as well as a thoughtful selection of Swedish beers you'll find artisanal gin and tonic. 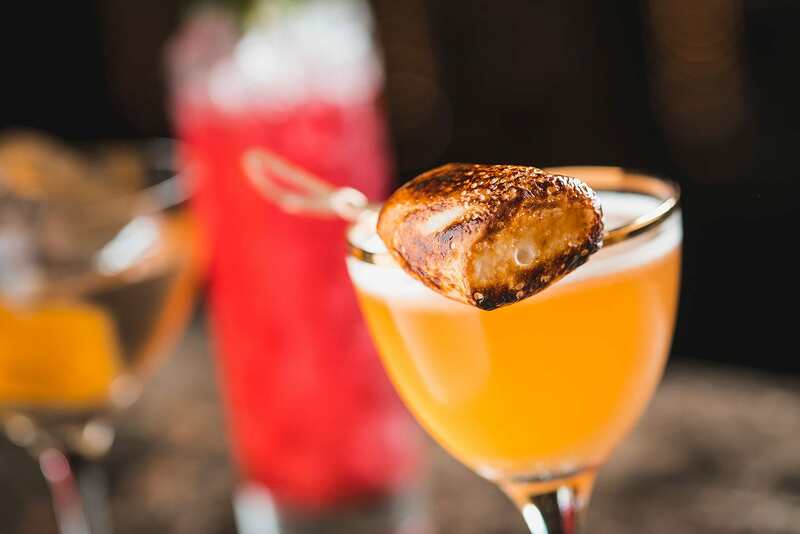 Places that only serve a combination of cocktails and small dishes are on the increase. 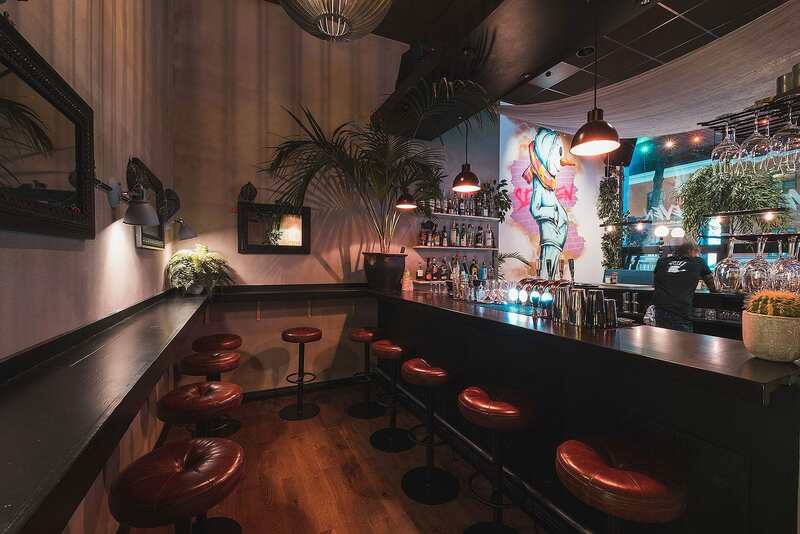 One of the latest bars in Stockholm to join this genre is Penny & Bill on Grev Turegatan. 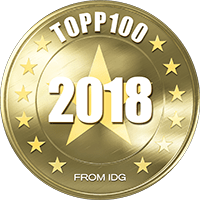 The gang behind places like Lux Dag för Dag and B.A.R. 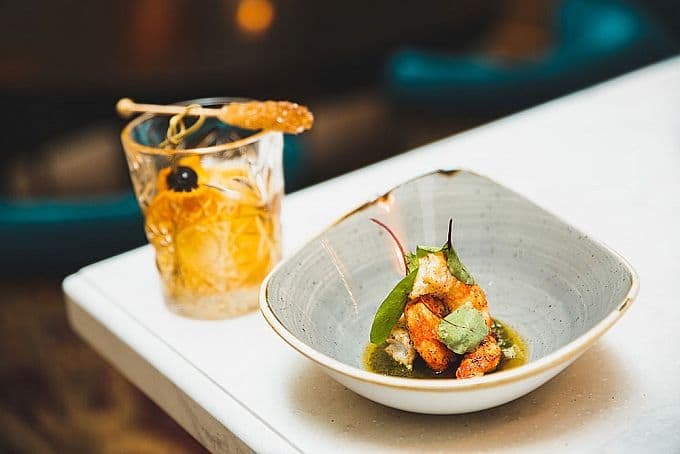 thought there was a gap in the market for a gastrobar where having a cocktail with your food, or vice versa, is nothing out of the ordinary. The drink and food flavours are lifted to exciting new heights when in combination with each other. Lilla Hotellbaren in the Scandic Malmen hotel is a well-established music bar near Medborgarplatsen. 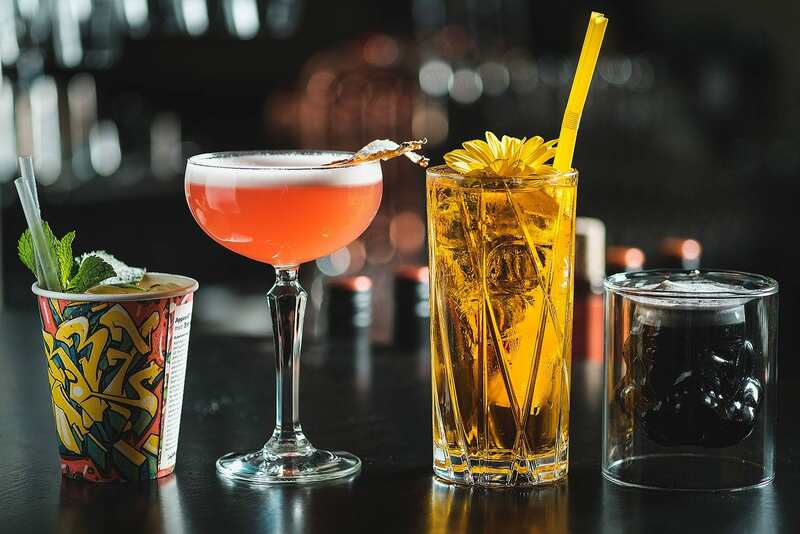 As well as several different clubs, DJs and gigs in all possible musical genres, one of the city's longest bars can be found here, where you can order classic bar food and burgers from the menu. 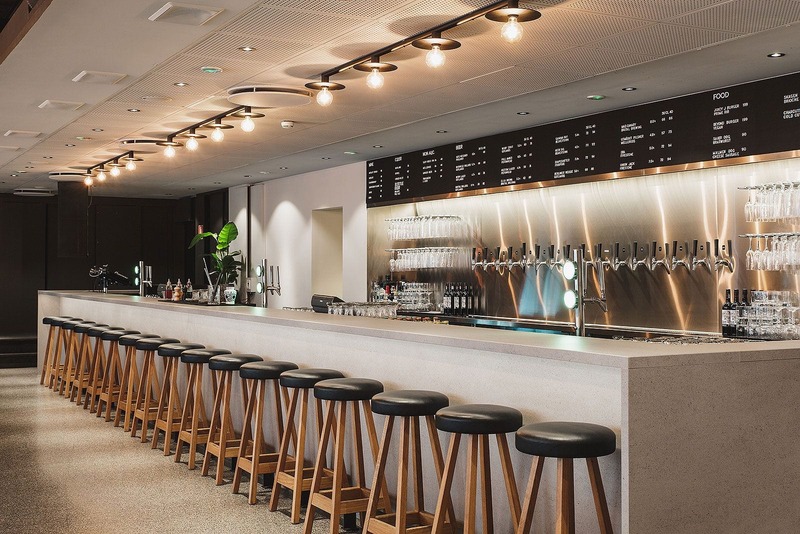 The name is slightly misleading, contrary to what you might think the Lilla ("little") Hotellbaren is far from little, but can accommodate some 500 guests. The classic restaurant Tranan on Odenplan has been a popular Stockholm hangout since 1929 (!). In the busy bar in the basement music's played, and drinks and simple, traditional Swedish dishes are served. 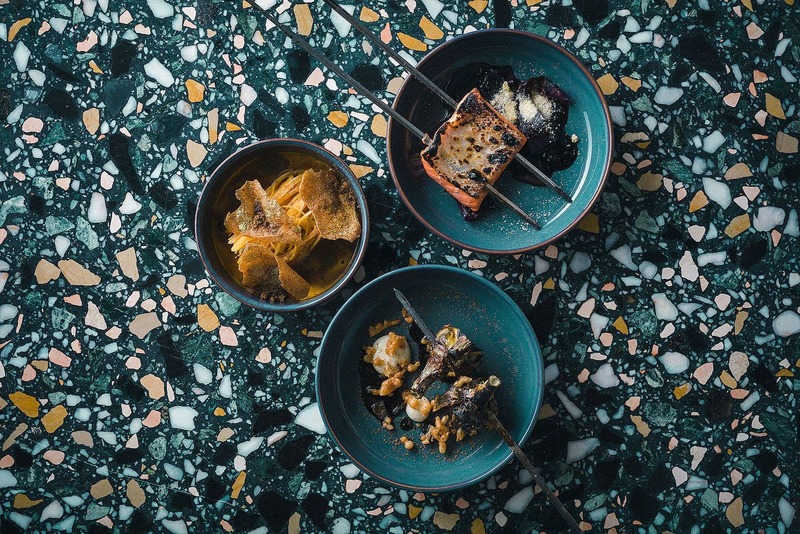 If you're craving the best meatballs in the city, "isterband" smoked pork sausage, cured salmon or "strömmingsflundra" dill-stuffed herring fillets this is the place to come. 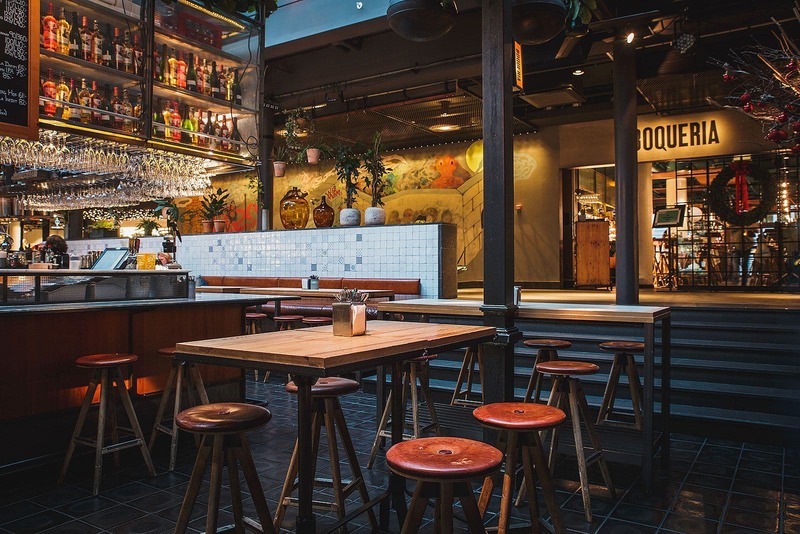 It's a slice of Swedish cultural history, too; much of the typical brewery-owned furniture you'll find at Tranan has been there since it opened and the poet Nils Ferlin used to be a regular. Ölbistron no. 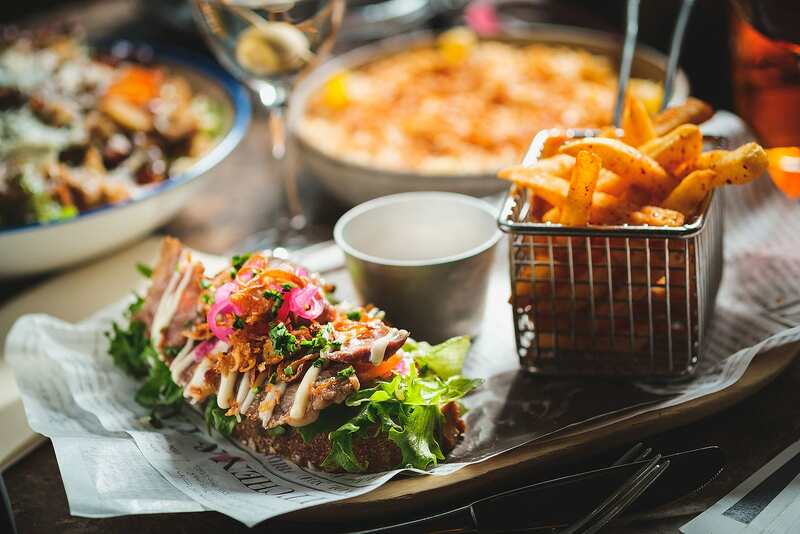 50 on Tjärhovsgatan is an extremely knowledgeable beer bar where they also serve tasty snacks to go with your drink. 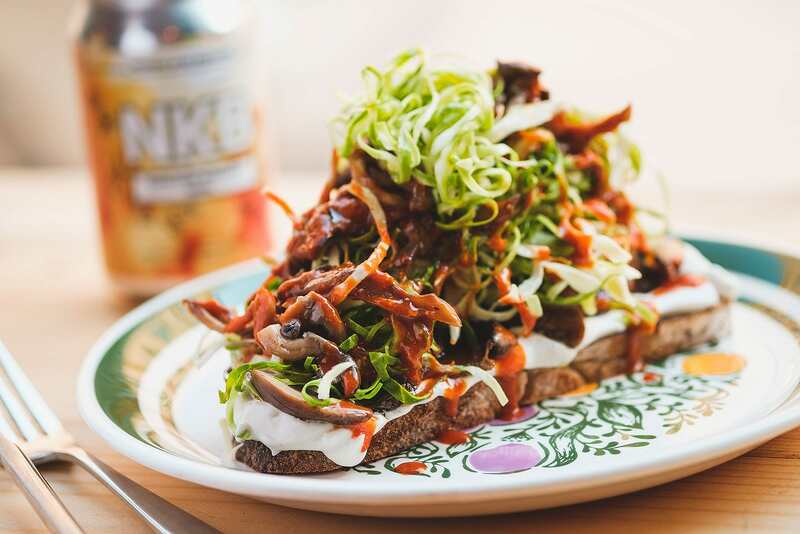 Hop up on a leather barstool and order some smørrebrød (Danish open sandwiches), a sausage or a burger. 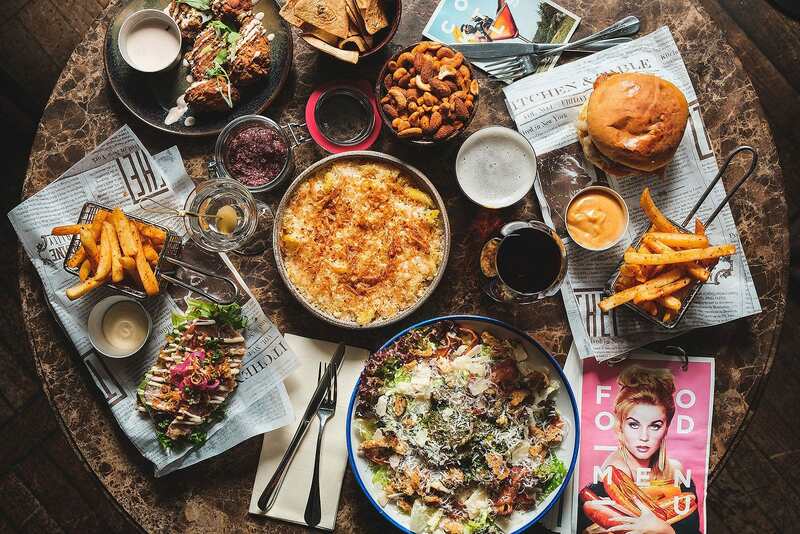 The guide to Stockholm's best bar food is updated regularly. 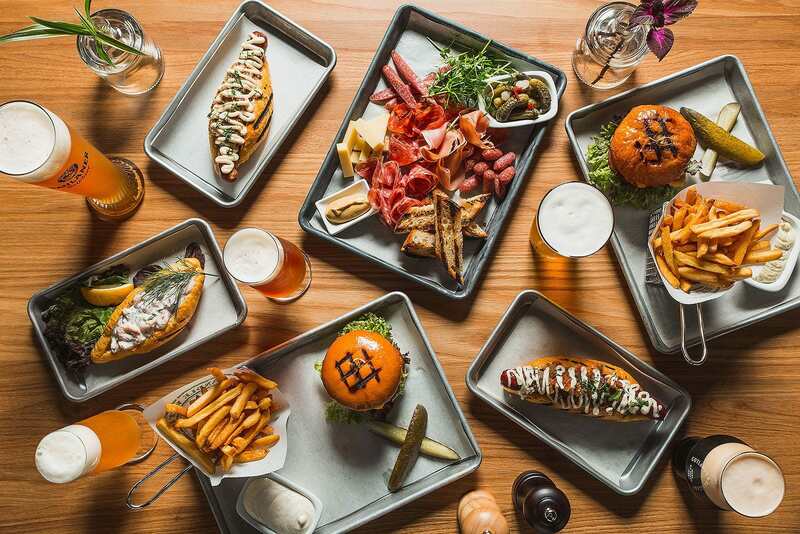 We welcome any tips on good bar food we may have missed and you think we should write about. Email us at hello@thatsup.se. Please also let us know if you find any errors in this guide.